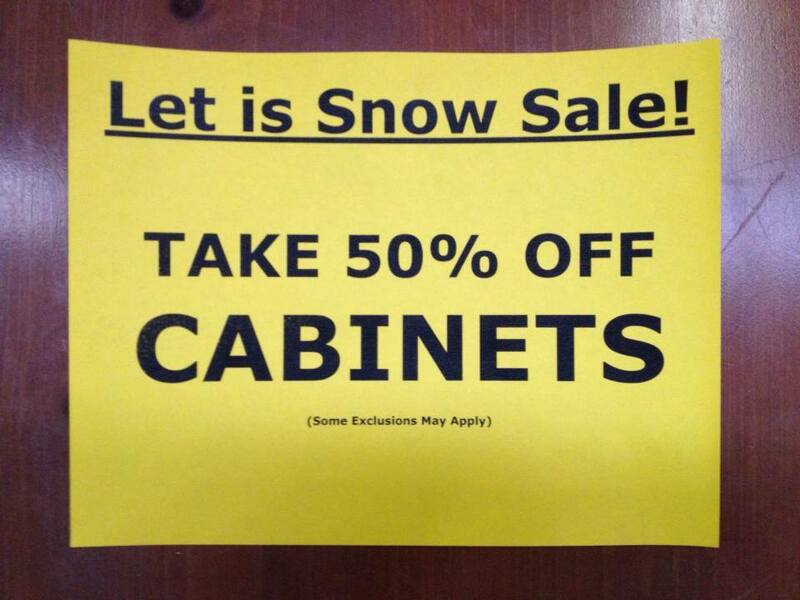 The weather outside might be frightful but this sale is so delightful! From Wednesday, December 4 through Friday, December 6 you can take 50% off cabinets that we have in the warehouse from full sets to individual cabinet pieces (some exclusions may apply). We are getting a bunch of new cabinets in soon so we need to make some room in the warehouse. As always, Bud’s Warehouse is open to the public. Bud’s Warehouse also offers vinyl flooring, marble and granite, doors, appliances, carpet, hardware, light fixtures, cabinet doors, bathtubs, sinks, and many other building materials. The innovative concept of a home improvement thrift store has become increasingly popular with area homeowners seeking savings of up to 70% on home improvement items while helping others.